After tipping 25 tokens in a day, you'll be able to vote regarding your satisfaction with Tamarasexy_Ts. 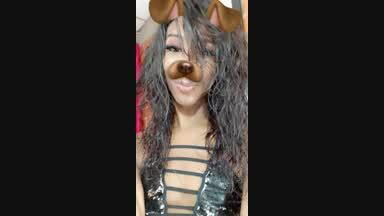 You have tipped Tamarasexy_Ts over 25 tokens today. Please share your feedback regarding your satisfaction with this broadcaster. Your confidential vote regarding Tamarasexy_Ts has been recorded. You may change your vote at any time today. Thank you for your feedback.